The Microanalyser from SLE is used to establish particle contamination predominantly using water in a closed circuit medium. Pneumatic operation of the extraction cover allows for ergonomic and easy use. Parts can be quickly processed, with contaminants collected in an extraction filter membrane. Meets the full particle contamination requirements of the automotive industry. 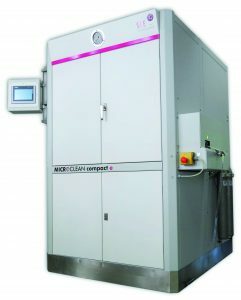 The high pressure throughput cleaning systems from SLE are designed for cleaning continuous materials (e.g. punching volumes, strips, wires, foils etc.). 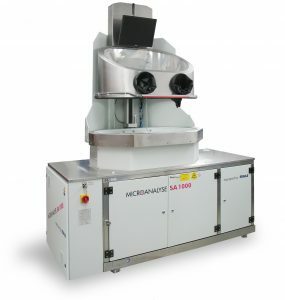 The material flow is controlled by an integrated non-contact strip control in order to operate the machine inline for cleaning, removing swarf and drying. The system also works in a self-sufficient „Reel to Reel“-mode.